City of Play has partnered with Come Out & Play to celebrate the 10th anniversary of the original festival of new games. The CO&P festival began in NYC 10 years ago, and is now expanding nationally beginning with Pittsburgh. 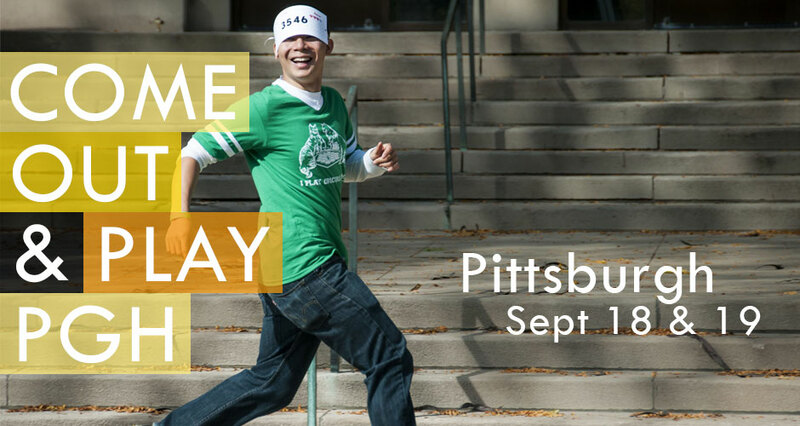 Take to the streets beginning at 8pm on Friday, September 18th with sidewalk, social, and urban exploration games, then continue the city-sized fun at 11am on Saturday, September 19th with a day of brand new, never-before-seen sports.